Berry Springs - popular NT destination. Berry Springs is known for the Territory Wildlife Park and the popular natural spring water swimming pools in the Nature Park. 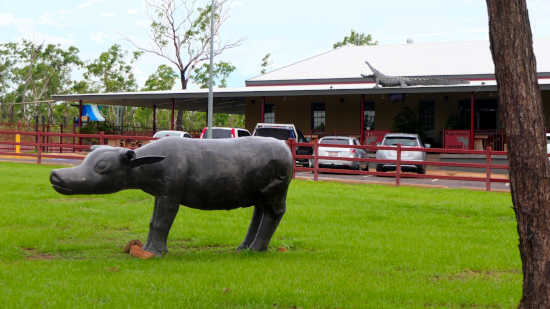 It is a growing rural village a short drive from Darwin and close to Litchfield National Park. Driving from Darwin, turn right off the Stuart Highway at Cox Peninsular Road to find Berry Springs Village about 14 k's from the highway. The first thing you will see is the new Tavern on the hill on the left, along with a new fuel stop and Mechanic's workshop. Berry Springs Tavern with it's buffalo and crocodile standing guard. 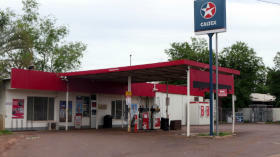 For many years the older general store and service station provided for the many visitors who drove from Darwin for a swim in the cool waters of Berry Creek. An old WW11 weir across the creek provided some deep water and some protection from crocodiles. Swimming in the Nature Park pools is usually open from May through to November. 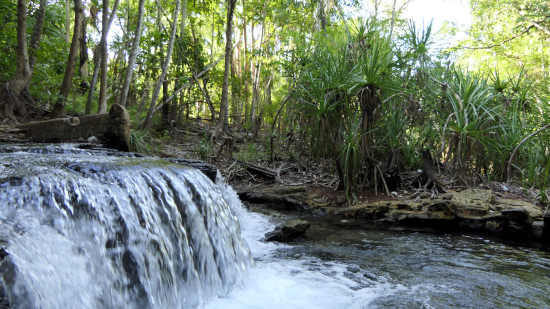 Wet season rains turn this into a dangerous torrent, but the picnic facilities remain open. Rangers actively monitor the park for safety. The Territory Wildlife Park is the main tourist attraction at Berry Springs and sees a constant stream of visitors. 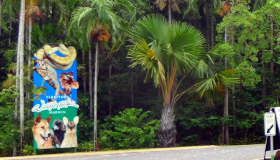 Walk through aviaries, nightlife displays, aquariums, reptiles and crocodiles are all on display. A new shopping village serves the growing number of people who prefer the quiet rural life this area affords. Berry Springs Retail Village is off the main road on the corner of Doris Rd. 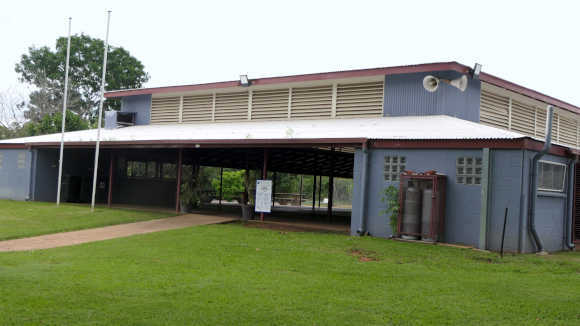 The Community Centre and football oval provide a focal point for local activities. From March to December a community market is held here on the last Sunday of the month.